What is the impact of Chinese aid and investment on the capacity and perceived legitimacy of recipient states in sub-Saharan Africa? In recent years, China has dramatically increased its trade, aid and investment across a number of African countries, and on the foreign aid front, now rivals some Western donors in the scope of the assistance it provides to the continent. There is much debate surrounding China’s expanding presence in the region. Critics argue that China is a “rogue” donor whose assistance will create “a world that is more corrupt, chaotic, and authoritarian.” Advocates—including some African heads of state—counter that Chinese projects are not only helping to strengthen state capacity but they are implemented quicker and at lower cost than their Western counterparts, and with fewer conditionalities that erode state sovereignty. Empirical evidence is all but non-existent on both sides of this debate. In collaboration with Rob Blair at the Watson Institute for International and Public Affairs at Brown University, we propose to use a set of novel data collection and analysis tools (including field surveys, lab-in-the-field experiments, and observational studies) to assess the effects of Chinese investment and development projects (CIDPs)—that is, projects financed by the Chinese government or contracted to Chinese companies—on recipients’ state capacity and legitimacy, with initial focus on Liberia. 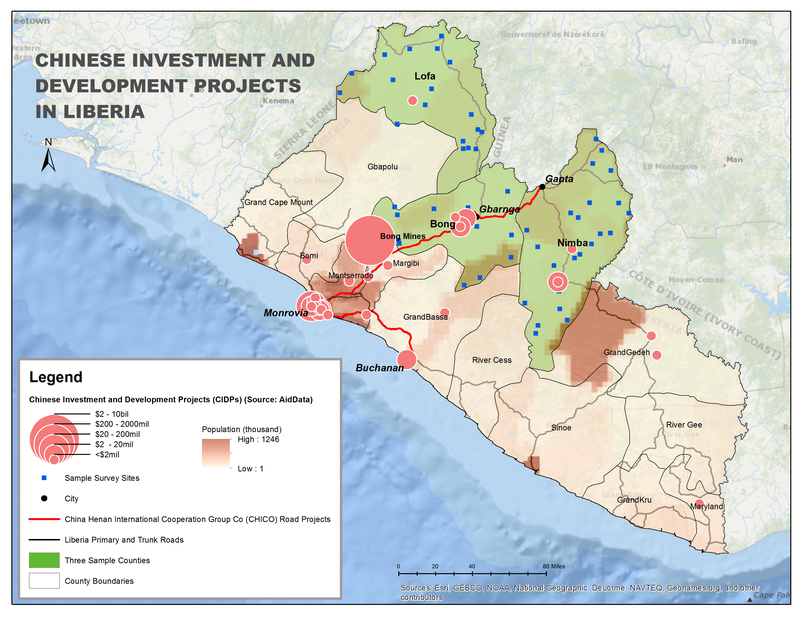 To read more about the project, see our blog post on AidData’s blog, First Tranche. This project is supported by a Democracy, Human Rights, and Governance Research and Innovation Grant from the Institute for International Education (IIE) funded by USAID’s Center of Excellence on Democracy, Human Rights and Governance (DRG Center).